Old RV with a satellite dish. What are your options? So, you’ve been tooling around North America for about ten years in your trusty RV. You keep it in good condition and you think you can probably get another ten years out of it. That sounds like a plan. At a time when luxury RVs cost as much as a small house, it makes sense to keep them for a long while. Especially since they depreciate like cars. Back in the late ’00s you put in an expensive “in-motion” satellite system. Something like the one above, that tracks satellites while the RV’s moving. They weren’t cheap back then. Heck, they aren’t cheap now. (That’s right, I said “heck.”) It’s served you well but lately you’ve been hearing about changes to DIRECTV. It’s true. Almost all (if not all) DIRECTV standard definition programming will cease next year. Don’t believe someone who says they know the exact plan, because it’s still confidential. One thing is for sure, at some point all standard definition local channels, plus all other content that’s on DIRECTV’s satellite at the 119 location, will go away. That satellite is way past it’s projected end-of-life date and it’s time for it to be retired. It’s not clear at this point what will happen to the national standard definition channels on the 101 satellites. They could go away too. AT&T has been pushing aggressively for two years to upgrade people to HD and it’s clear that long-term support for SD isn’t a priority. So, if you’re still using a dish or receiver from ten years ago — or even if your equipment’s newer but still standard definition — you have to make some choices. Some won’t be easy. I’d say this is a bad choice. If you use the system at all and it’s already paid for, you’re simply paying for the TV service and that’s not a whole lot. I think it’s worth it considering all the value you can get out of it. It’s especially valuable if you live in the New York or Los Angeles area because as you know you can get your local channels pretty much everywhere. Just walking away from satellite is a bad idea. While DIRECTV systems don’t support HD programming with their older dishes, DISH systems do. This has to do with the technology that’s used for reception and that’s the subject of another article. Bottom line though you can usually use an older system with DISH. You’ll still have to get all new receivers obviously. DISH’s system might give you all the channels you want and it might not. The best part of this choice is that Solid Signal is both a DIRECTV and DISH dealer and if you call use at 877.312.4547 you can talk to a rep who can explain the options to you and let you know if switching is a good fit for you. At some point, we’ll know exactly what the plan is for the 101 satellite. It could be that some of your equipment is salvageable. I wouldn’t count on it but who knows. There’s still a lot of secrecy here regarding the end of standard definition. That’s surprising but I do kind of get it. I guess since the goal has always been to move people to HD, there isn’t much concern about what happens to people who don’t upgrade. I think there could be some sort of limited solution, in other words, you wouldn’t lose all your programming on the same day. There are some technical issues that make the 101 satellites a bad fit for HD programming. They’re older and designed to support SD programming more easily. Cramming HD channels onto those satellites could be done but as I understand the math there wouldn’t be that many of them. At least not compared to the nearly 1,000 SD channels on those satellites. This kind of goes back to Choice 1 where I said you could simply get rid of the dish or stop using it. You can get unlimited plans from AT&T that will let you stream all you want. Then add the DIRECTV NOW streaming service and get pretty much all the channels you have now plus DVR service and the ability to watch on two devices at once. One can be a TV, one can be a phone or tablet, it’s all your choice. If you bundle AT&T cell service with DIRECTV NOW you can get some awesome discounts. You might want to call the folks at Solid Signal, 877.312.4547, to see what you qualify for. Of course you could go to the mall and talk to those guys, but what’s the chance they understand about your RV? Roughly zero. It’s better to go with the experts. Right now there isn’t a good “in-motion” solution for DIRECTV HD. The current solutions from KVH and Intellian are designed for marine use and they’re really too big for an RV. This means your best “upgrade” would be a dish that doesn’t let you watch while you’re moving. However, it would give you access to all the latest tech and you wouldn’t have to worry about upgrading for a while. A new dish is going to improve the resale value of the RV as well and it could be part of a renovation that gets you to finally ditch that tube television. 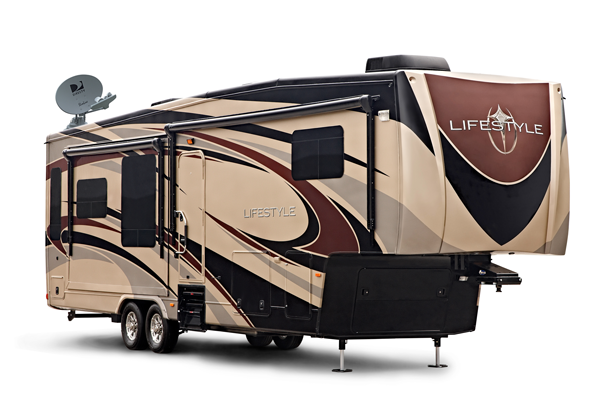 No matter what you choose, there’s only one place to go to get the best advice on RV upgrades. No one does more RV activations than Solid Signal, and we have experts who can help you make the best possible decision. Yeah I know I’ve mentioned the number before but here it is one more time: 877.312.4547. Why put a cell booster in your car?